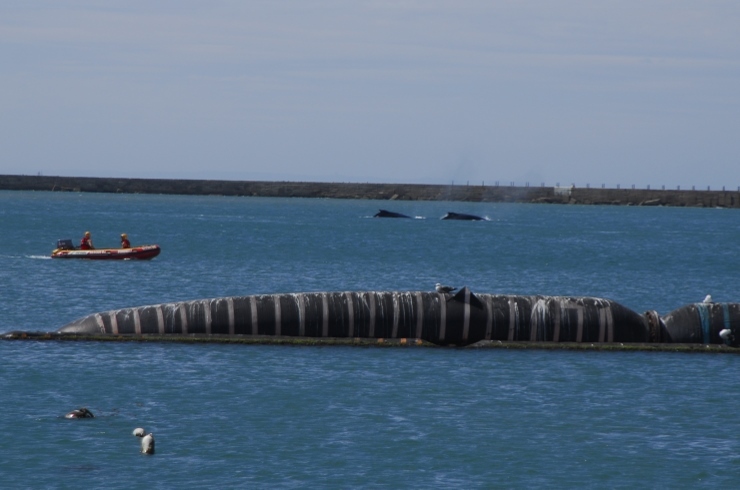 These two humpback whales spent nearly the entire day swimming around the harbour entrance, seemingly enjoying themselves. The NSRI was called out to assess the situation and two tug boats preceded to 'herd' them out of the way in order to get a ship out of the harbour on time. Click here to read the full story.